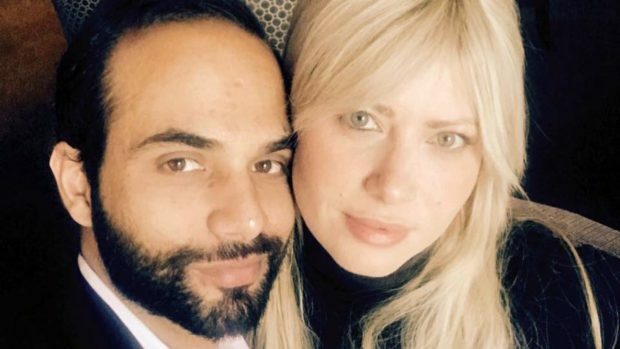 George Papadopoulos’ wife, Simona Mangiante, said her husband was not involved in collusion between the Trump campaign and the Russian government and that he pleaded guilty in the special counsel’s investigation to avoid facing charges that he was an agent of the Israeli government. In an exclusive interview with The Daily Caller News Foundation, Mangiante also claimed that it was former Trump campaign aide Papadopoulos who, during an interview with the FBI on Jan. 27, 2017, brought up Joseph Mifsud, the mysterious Maltese professor who mentioned Hillary Clinton’s emails to him during a meeting in London in April 2016. Papadopoulos’ willingness to bring up Mifsud during that FBI interview suggests he was not trying to cover up a conspiracy involving Clinton’s emails, Mangiante said. A former attorney in the European Parliament, Mangiante is coming forward with the new details about Papadopoulos’ activities on the Trump campaign in order to “reset the narrative” that he colluded with the Russian government. She is also pushing back against the idea that Papadopoulos has information that could be damaging to the Trump administration. The Special Counsel Robert Mueller’s office declined comment on Mangiante’s claims, which she shared in a lengthy interview on Sunday. But if accurate, they would undercut much of the speculation about Papadopoulos’ role in Mueller’s investigation into collusion between the Trump campaign and the Russian government. Papadopoulos’ Oct. 5 guilty plea in the special counsel’s investigation has stoked concern among Trump defenders that the campaign aide might hold the information that proves that the Trump campaign colluded with the Kremlin. Democrats have also cited the plea deal as evidence that Papadopoulos is the key to unraveling the collusion conspiracy. But Mangiante told TheDCNF Papadopoulos was “absolutely not” involved in collusion. “George had nothing to do with Russia,” said Mangiante, who has acted as a sort of spokeswoman for her husband in the months since his plea deal. It was Papadopoulos’ meetings during spring and summer 2016, which reportedly led the FBI in late-July 2016 to open “Crossfire Hurricane” — the counterintelligence investigation into Russian infiltration of the Trump campaign. 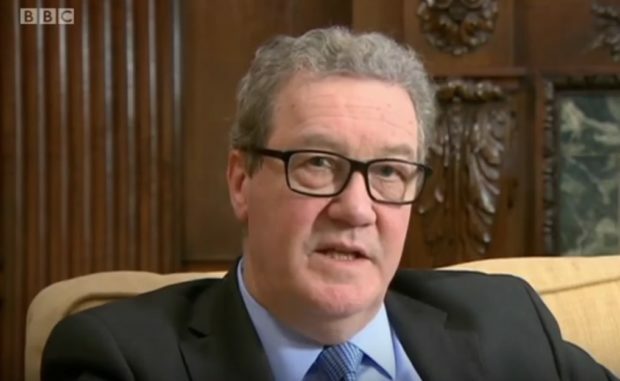 The investigation reportedly began based on a tip from Alexander Downer, a former Australian diplomat. Papadopoulos and Downer met at a London wine bar on May 10, 2016, about two months after Papadopoulos joined the Trump campaign as a national security adviser. Erika Thompson, an Australian diplomat who Papadopoulos met in April 2016, introduced the Trump aide to Downer. She was with Downer during the meeting with Papadopoulos. House Republicans are investigating how the information weaved its way through the U.S. government and to the FBI. Crossfire Hurricane was opened on July 31, 2016, about a week after Wikileaks released nearly 20,000 emails stolen from the DNC. But Mangiante said there is a disconnect between the emails Mifsud referenced to Papadopoulos and the FBI’s rationale for opening Crossfire Hurricane. She noted that Mifsud referred only to Clinton-related emails, not DNC documents that sparked the FBI’s investigation. Mangiante also said she does not understand how a comment from Downer was enough to prompt a full-scale investigation into the Trump campaign. “George has nothing to do with Russia. This whole investigation appears to be based on gossiping,” she told TheDCNF. In his plea deal with the special counsel’s office, the 30-year-old Papadopoulos acknowledged lying to the FBI in a Jan. 27, 2017 interview about the timing of his contacts with Mifsud. Papadopoulos, who is awaiting sentencing in the case, also admitted he falsely denied knowing that Mifsud had connections to Russia. But one part of the plea deal that has largely gone ignored is that Papadopoulos told the FBI in that interview that Mifsud made reference to Russians and Clinton emails. To Mangiante, Papadopoulos’ willingness to address Mifsud shows that he was not trying to hide material facts about his interactions with the mysterious professor, whose whereabouts are unknown. She said Papadopoulos believed Mifsud was talking about 30,000 emails that Clinton had deleted from her private email server. That batch of emails was a topic of intense interest during the campaign. Mangiante, who met Papadopoulos just weeks before his arrest last July and is relaying Papadopoulos’ version of events, said her husband first mentioned Mifsud during his January 2017 FBI interview. “It was George who brought up Mifsud to the FBI,” she said. What is beyond dispute is that Papadopoulos attempted to set up meetings between members of the Russian government and the Trump campaign. Campaign emails show Papadopoulos pitched several Trump officials on the idea of meeting with Russian government officials. The emails show that the proposals were rebuffed. The special counsel’s statement of offense against Papadopoulos said the meetings did not pan out, and that there has been no other evidence that Papadopoulos successfully brokered meetings with Russians. Mangiante said she is speaking out about Papadopoulos’ case now because she is “very scared” for her husband. Papadopoulos faces up to six months in jail for lying to the FBI. “They’re trying to manipulate completely the narrative using him as the mastermind of Russiagate. He doesn’t have any connection to Russia,” she told TheDCNF. Mangiante also addressed cryptic comments she made in media interviews, which stoked speculation that Papadopoulos had information that could damage Trump and the campaign. In interviews with ABC News, CNN and The Washington Post, Mangiante bristled at comments former Trump aides and the White House made that downplayed Papadopoulos’ role on the campaign. In an interview with The Washington Post on Jan. 22, Mangiante compared Papadopoulos to John Dean, the Nixon White House counsel who provided secrets about Watergate. “I believe history will remember him like John Dean,” she told The Post. Mangiante said she was limited at the time in what she could discuss about Papadopoulos’ case. But she said she did not intend the reference to Dean to be an indication that Papadopoulos would reveal information about collusion. She also bristles at the impression that she has become a “tool for the liberal media to support the idea of collusion.” She pointed to a recent book by Stephen Roh, an associate of Mifsud’s, who argued that Mangiante’s media interviews have supported the case of collusion against the Trump campaign. “What are they talking about?” she asked rhetorically. Mangiante also says that another cryptic remark she made in the interview with The Post was a reference to an FBI spy who contacted Papadopoulos during the campaign. “There’s a lot to come,” she told The Washington Post in a Jan. 22 interview. Mangiante told TheDCNF that the remark referred to former University of Cambridge professor Stefan Halper, who has since been identified as an FBI spy. “When I said there was a lot to come, I was referring precisely to the situation with Halper,” Mangiante told TheDCNF. “This operation is more evidence of George being a target to infiltrate the campaign,” she added, referring to the FBI’s efforts to spy on the Trump campaign. During one meeting in London in mid-September 2016, Halper asked Papadopoulos what he knew about Russians having Democrats’ emails. Papadopoulos told Halper he did not know what he was talking about. Halper began “acting aggressively” and “showing disappointment” at Papadopoulos’ denials, says Mangiante. Unbeknownst to Papadopoulos and Mangiante was Halper’s relationship with the FBI and CIA. The Washington Post has identified Halper as the FBI informant who made contact with Papadopoulos, Page and Clovis. He provided information that has been used in the Russia investigation, both before and after Mueller’s May 17, 2017 appointement as special counsel.